as well as for my spirit. What an unexpected and welcome gift. This weekend had us hard pressed to find any sunshine. A light drizzle fell sporadically as we went about our work. The salad is ready to be transplanted. these leeks are well on their way. These beauties will be ready for harvest in a matter of weeks. The cucumbers are making progress. I know, cucumbers in December? The farm is loaded with peas. This is the most successful crop of peas that Lynn has grown to date. It's a thrill to enjoy them in my daily salads once again. The brussels sprouts and peas got a good soaking. Radishes are a 3-week crop. It's amazing to me that nutritious, delicious food can be grown in such a short time. The beets will be ready for eating soon. My roasting pan is all ready! The Swiss chard adds some holiday color to the garden. Along with the tomatoes that we've been recently enjoying. in some tomato soup worthy of the Soup Nazi. Here are the scallions a week ago. 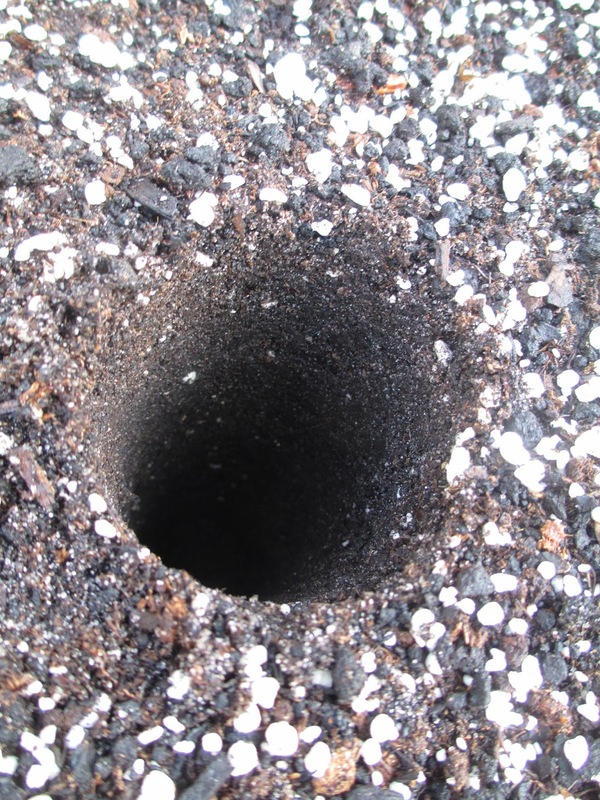 seven inches under the soil. What an amazing amount of energy to get this far so quickly. One lone eggplant was ready for me to take home. We mixed up some of Lynn's luscious loam. We originally showed how this was done here. which gets screened in this homemade contraption. It's one of my favorite jobs. 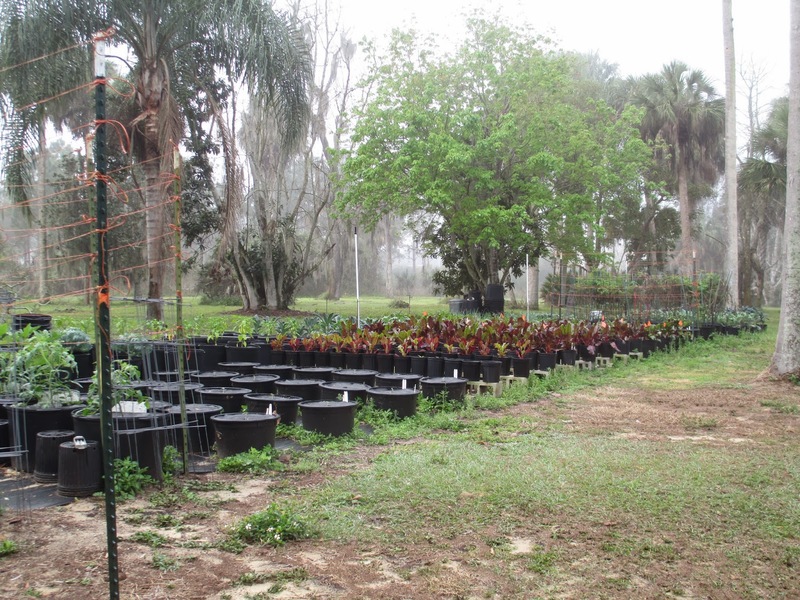 Today we transplanted about 50 Red Salad Bowl lettuce plants. All the sooner to land on my table. and everything there is still to learn. we're welcoming back the sunshine at Farm School. after our ritual tour of the garden. The lettuce is going strong. It tastes every bit as wonderful as it looks. and is flourishing in its new spot. The cucumber patch is making quick progress. Of course, we had to check on Peaville. Snap peas are a delicious treat every day in salads or just for munching. These are sweet, tender and juicy. With loads of blooms, we expect this crop to continue producing for a good, long while. 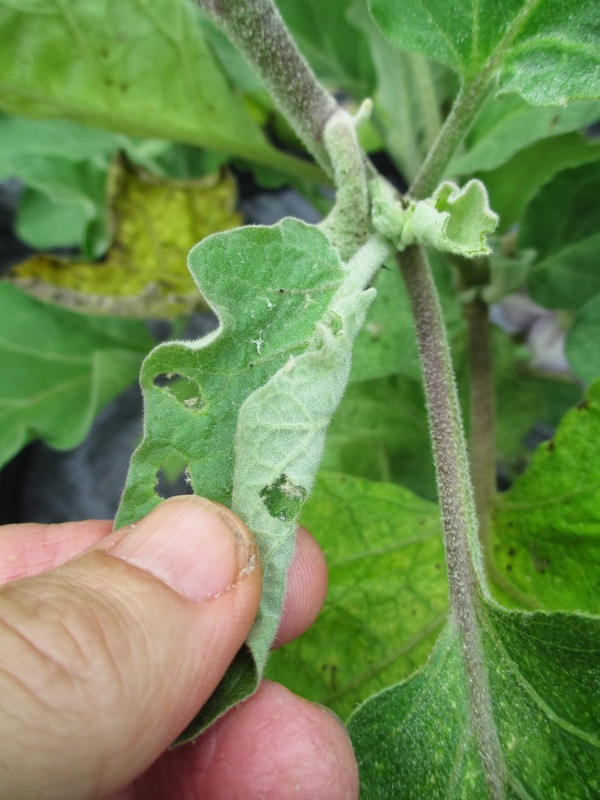 The powdery mildew doesn't seem to deter its success. which was caused by this week's fierce winds. No permanent damage is foreseen. The Celebrity tomatoes are about through producing. I took home a bagful. 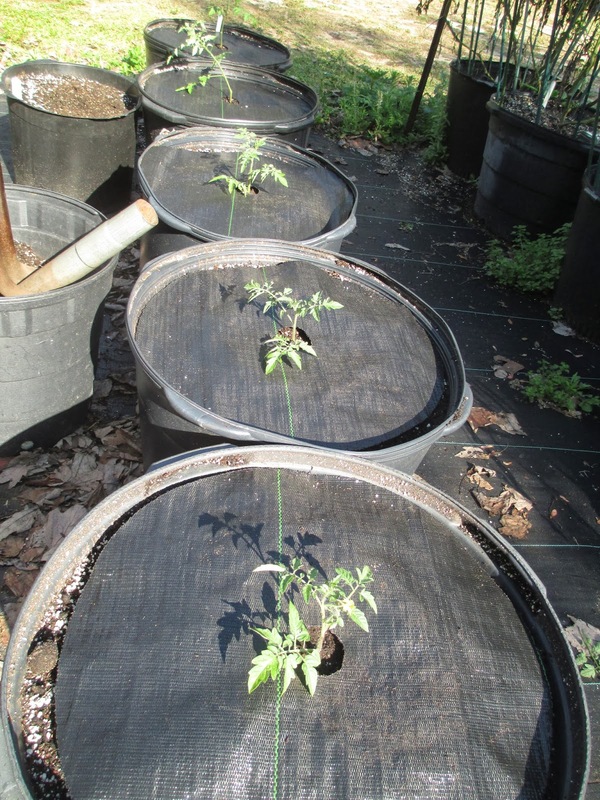 There are more tomato starts ready for transplanting soon. but overall, they are faring well. and I was allowed to choose as many from this bunch as desired. Gravy will be made later today. We got some more broccoli planted. This crop has no fear of winter, as few conditions discourage its growth. for all who care to partake. We set ourselves up in the designated area with plenty of newly mixed soil. so that they are evenly spaced. 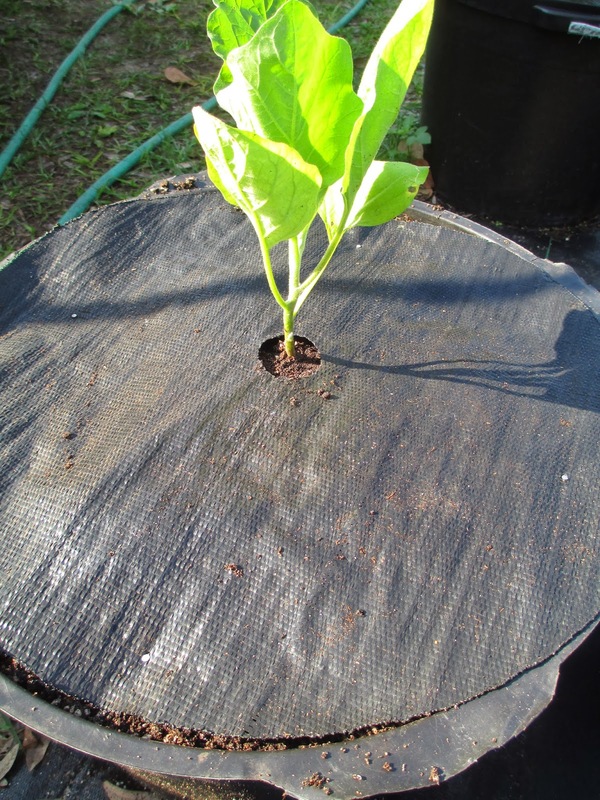 You can see the method of planting Lynn used here. A few of the sets are already sprouting. It's the plants' signal that it's time to grow. The garden is looking lush and productive. right into the Garden of Eatin'. The datil peppers are participating in a little experiment. Faye & Lynn are learning about how best to dry them. See the hole toward the bottom of this palm? A swarm of bees moved in recently. Faye & Lynn are hoping to find a beekeeper who can relocate them. I hope we get to watch that! Lynn will be busy tending to the bounty of the garden. 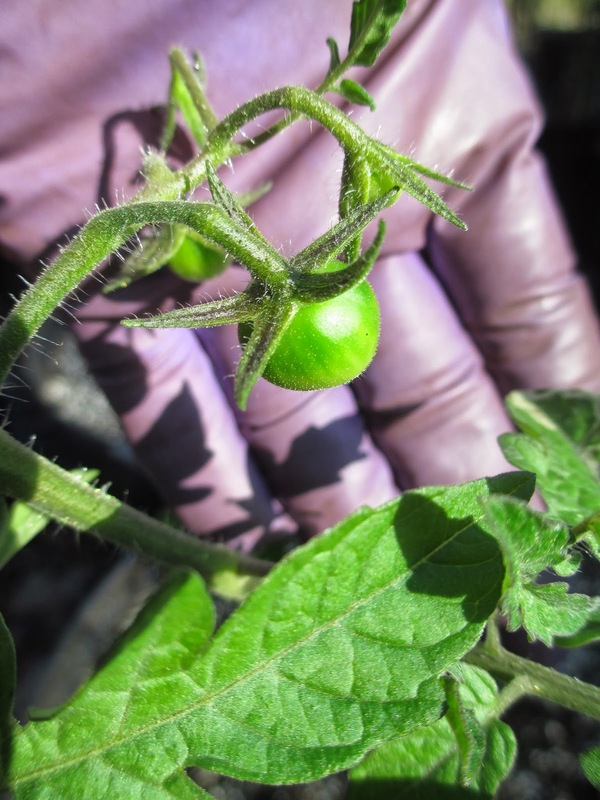 The tender crops like tomatoes, peppers and some of the herbs are most vulnerable. I hope he gets some sleep. The work of a farmer is never done. We had another gorgeous Sunday to work outside. the garden is going strong. There are plenty of choices to fill your goodie basket. One of the first crops I wanted to check on was the scallions recently planted. They are lookin' good and don't seem to have been affected by the whims of weather. The leeks are that much closer to harvest time. Lynn likes them to be a certain width before they are ready for market. Peaville is in various stages. but for some reason it is not blossoming. 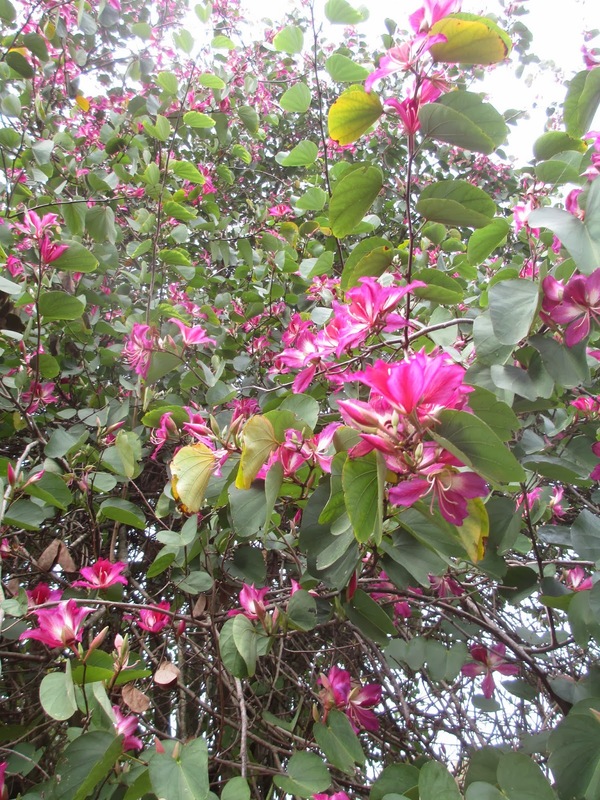 Fortunately, there are other patches with plenty of blooms and fruit. although it doesn't seem to keep it from producing. it sprouts these tender side shoots. This is one plant that keeps on giving. 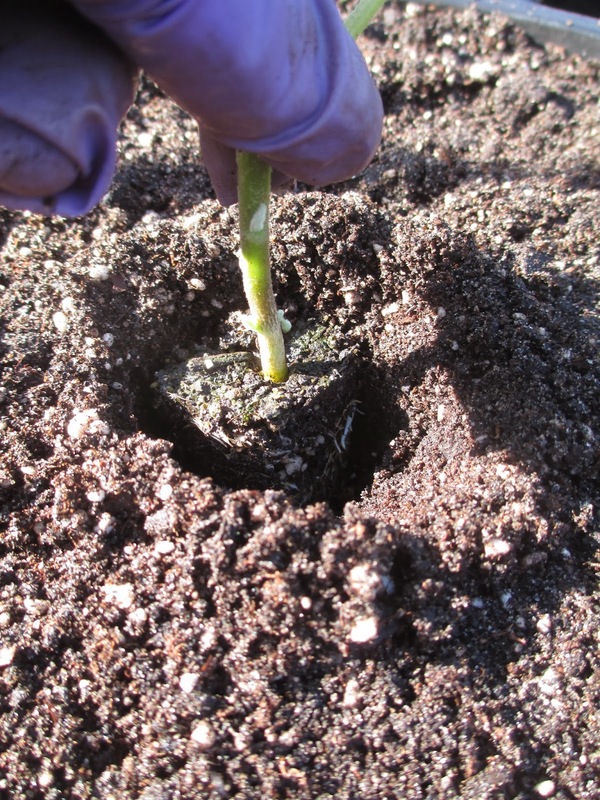 This is one of the new broccoli seedlings from last weekend's sowing. Lynn enjoyed his first kohlrabi this past week. The dill we seeded along the fenceline last month seems to be quite content in its spot. Doesn't this New Zealand spinach look fresh? It lasts a good long time in the fridge after harvesting. in case of freezing temperatures. which sometimes utilize used motor oil. The arugula and cilantro were moved so that we could make room for today's project. 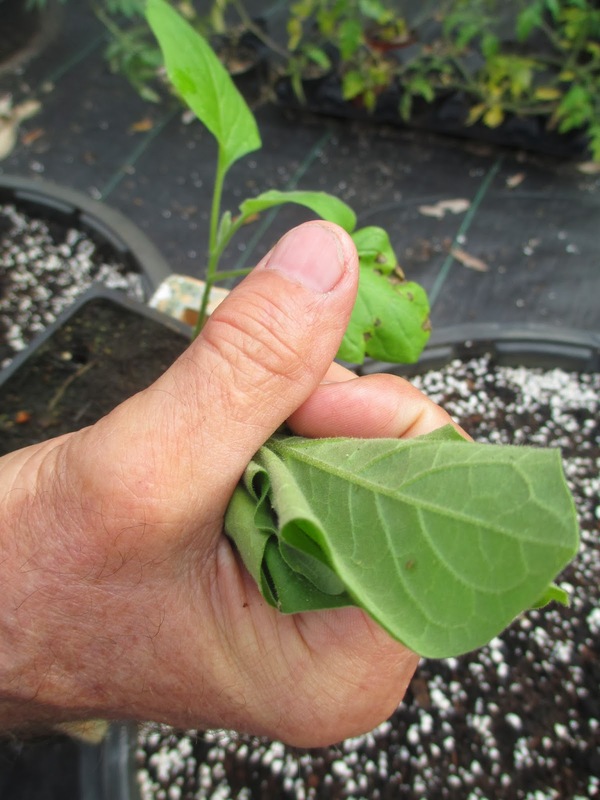 we wanted to get as many transplants completed as possible. 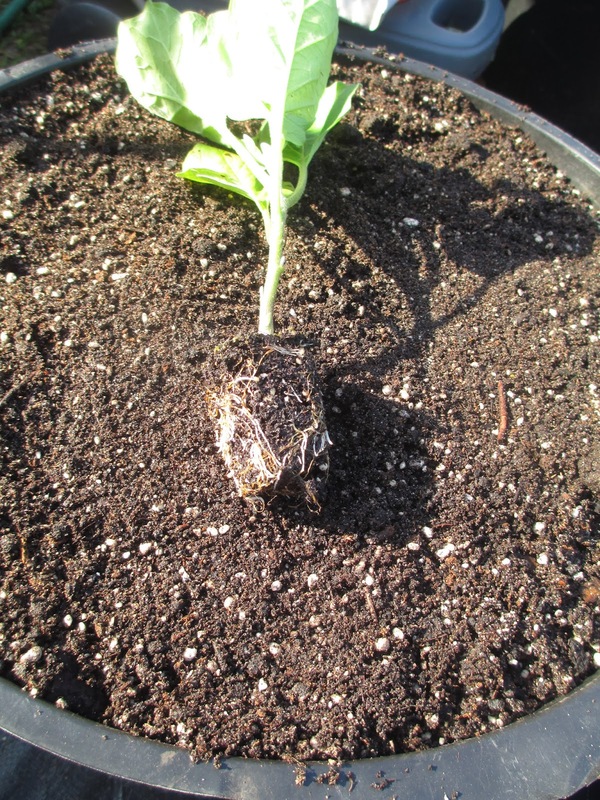 We transplanted both Romaine and Buttercrunch varieties. This lil' guy is gonna be so much happier with ample room to grow. Overall, we transplanted over 80 seedlings today. Here's something I've been waiting for. to fully grown and ready for harvest. The waiting is what's difficult, knowing how luscious and sweet they will be. I finally got to take some of these bulbous beauties home. They are actually the first beets harvested this season. It's a wild and wooly time, folks! Feeling so blessed to be part of something bigger than myself. Farm School is back on track. and fortunately, the weather was very cooperative. Our status check started at the seedling center. and a variety of herbs getting a great start in seed trays. to keep the frigid temperatures from harming these tender crops. This Annapolis lettuce is a red Romaine variety. This was one of the types that was transplanted on this work day. considering the several visits from frost. Those plastic covers really saved the day. 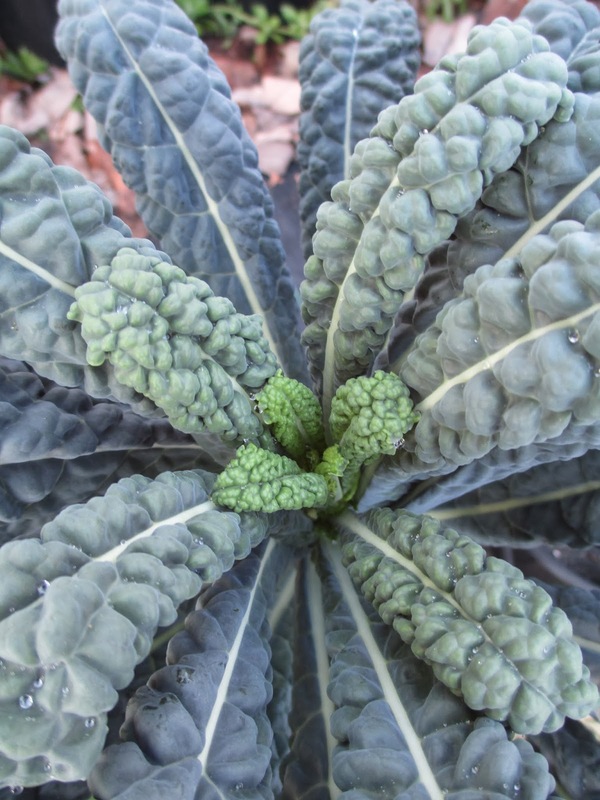 This variety is Dinosaur kale, also known as Tuscan kale. The Roma tomatoes are about spent. and still bear fruit, even though they have given their all. Last week, we made some tasty homemade tomato soup to enjoy during the cold nights. 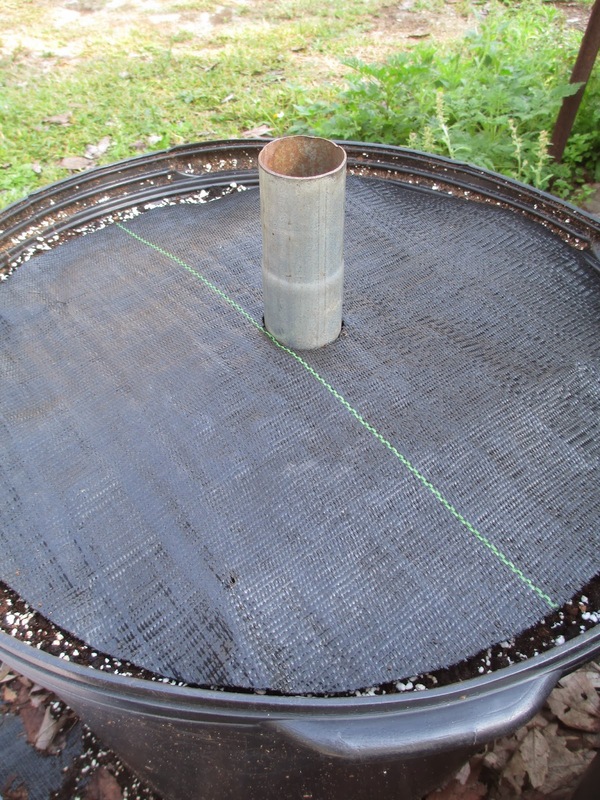 Blankets used to cover sensitive crops are kept right in the garden. and it makes sense to keep things where they will be used. The scallions are really taking off. This crop was a blast to plant. In case you missed it, you can find the post here. Peaville is exploding with peapods. is the sweetest and juiciest yet. These gems make their way daily into my salad bowl. 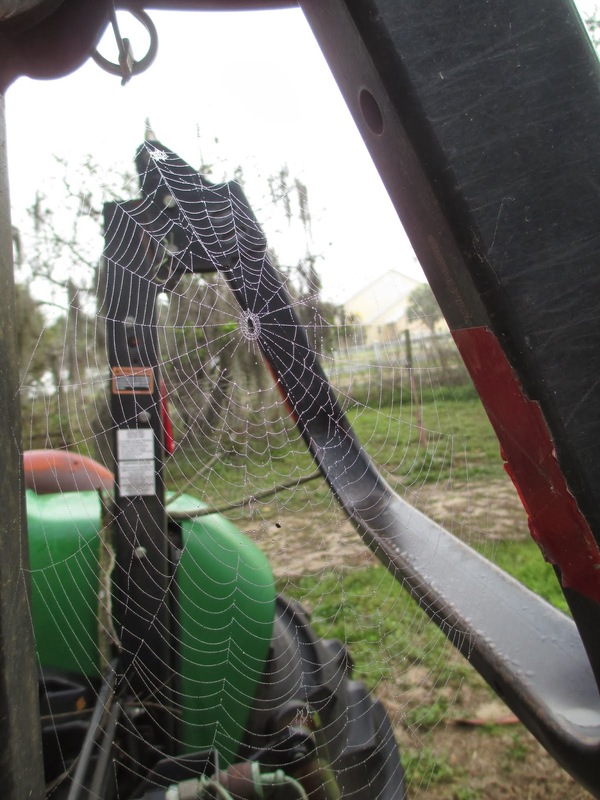 Faye spied this curious web in one of the citrus trees. 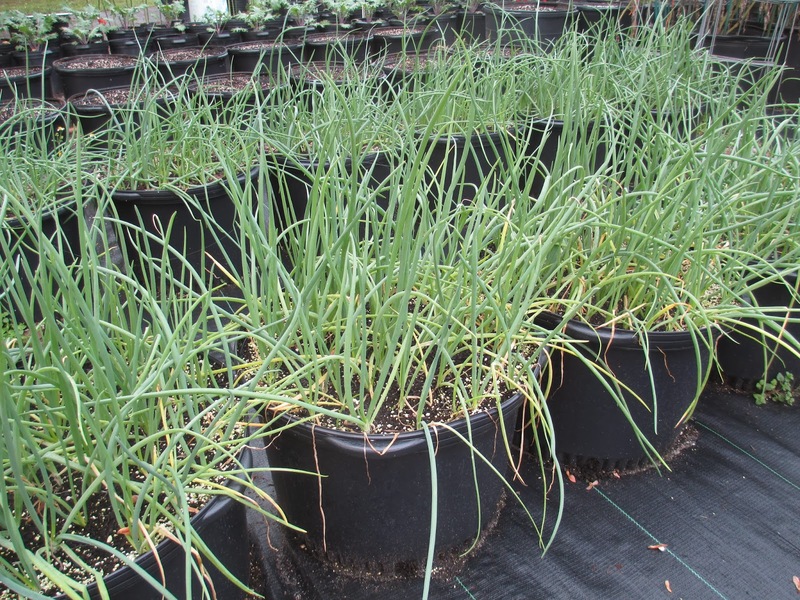 Many of the leeks will be ready for the farmer's market next weekend. The New Zealand spinach seems to be deteriorating just a bit. 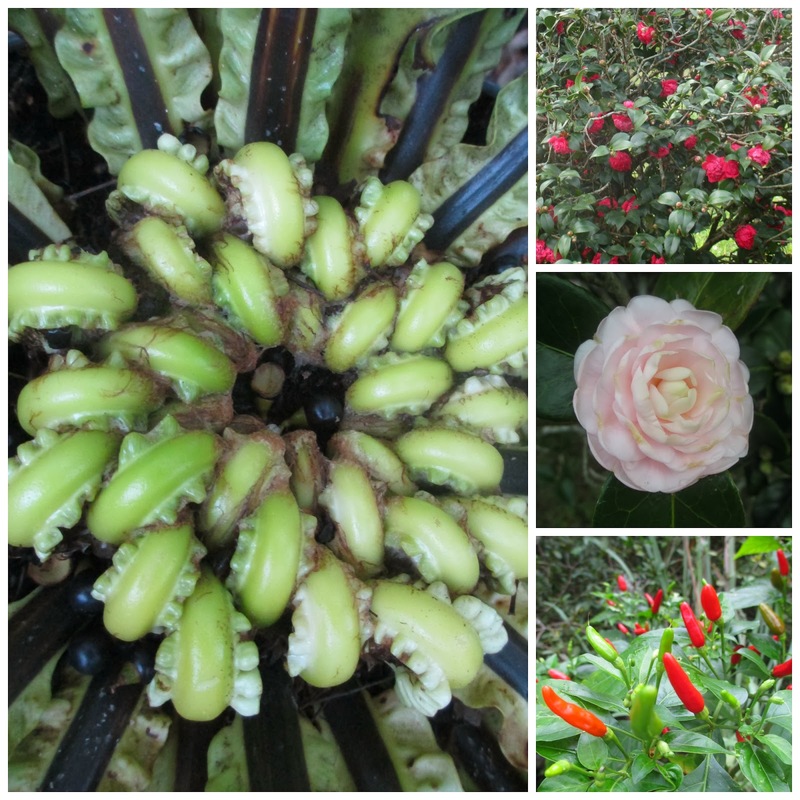 With the extreme changes in the weather, the garden adapts as best it can. I've recently rediscovered the joy of eating broccoli. Faye & Lynn trim off the tips after the main head is harvested. So tender, so delicious and so good for you! 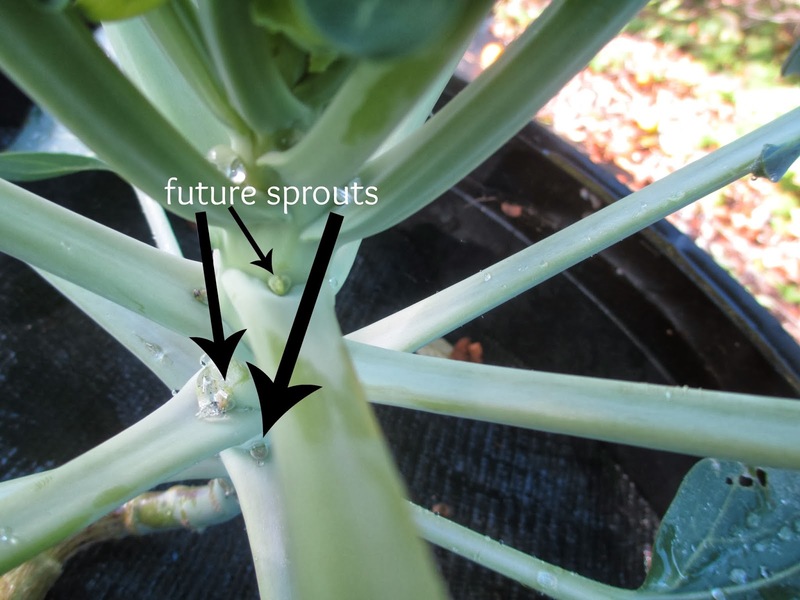 The brussels sprouts have a cabbage-like center. Most folks don't eat it, but it is edible. to make room for more salad fixins. 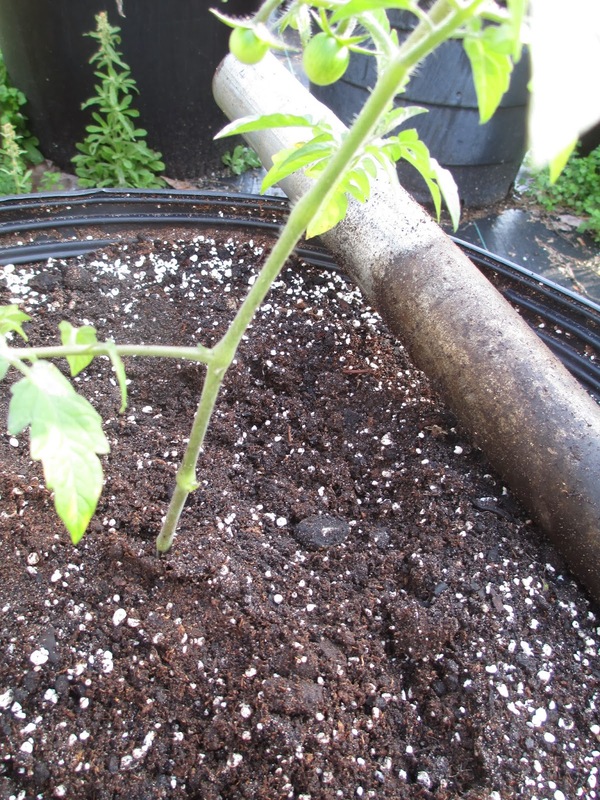 We transplanted a lone Celebrity tomato to replace one that hadn't made it. 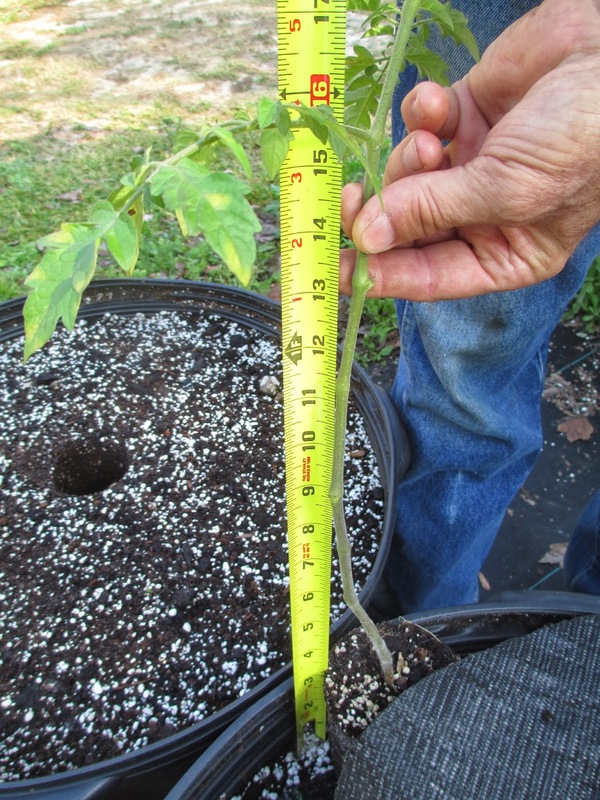 To see how Lynn plants his maters, read this. 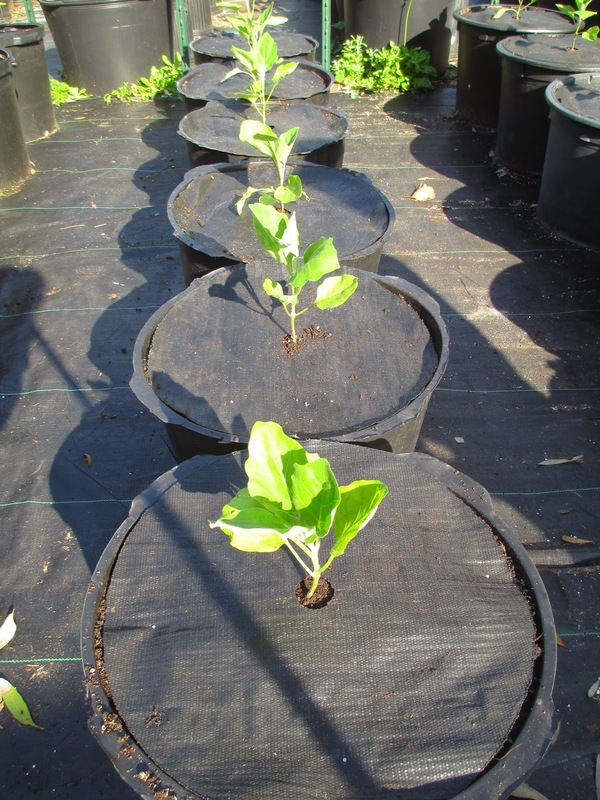 We also transplanted a few lettuce seedlings into bigger pots. The Red Salad Bowl lettuce finally made it into my goodie bag! It's my favorite of the several varieties grown here. Some of the older lettuce had started to bolt. Once the lettuce bolts, bitterness is what you taste. so that customers don't have to do without very often. Lynn has a wide selection of tools in his garage. This is stuff that is not easily found. and the company is USA-based. takes a positive grip inside the screw slot. even a space not much larger than the screw head itself." and all that it has taught me thus far. And so thankful for my time with the farmer and his wife. oh, what a treat to spend the day outdoors under sunny skies. Our routine status check resulted in viewing a garden poppin' at the seams. Everything is going full force as we transition from winter to spring crops. and will soon be transplanted to accommodate their need for more space. A newer batch of peas are growing strong. to the farmer's market this past weekend. The brussels sprouts are doin' what comes naturally. I'm so excited to see this up close and personal! but Lynn is getting a head start by seeding it now. 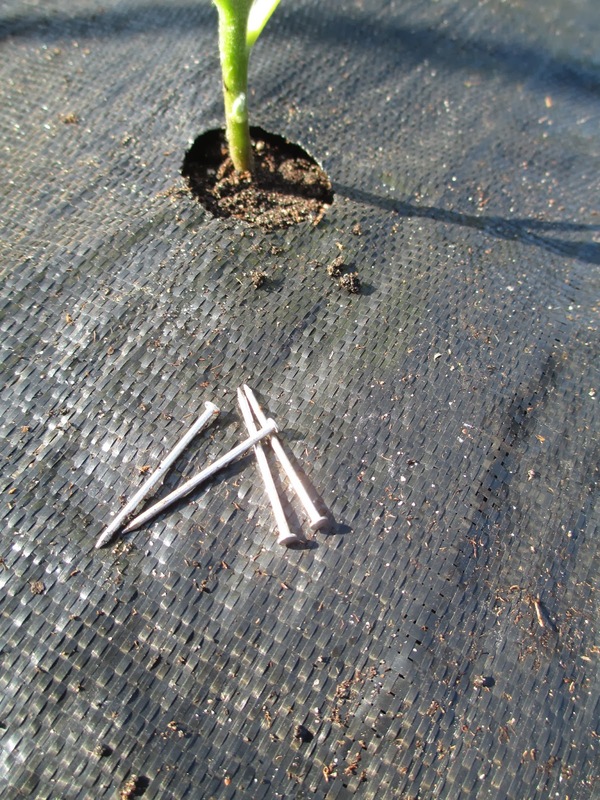 to replace the bolting crops. so that his customers won't have to wait for these tender morsels. the first batch we planted a few weeks earlier. but have folks coming right to the farm for their produce. This half bushel of mixed citrus was awaiting a regular customer's arrival. Our main job on this day was to make up some soil. We've shown the process before. until all ingredients are fully incorporated. The melange is then stored in tubs until needed. 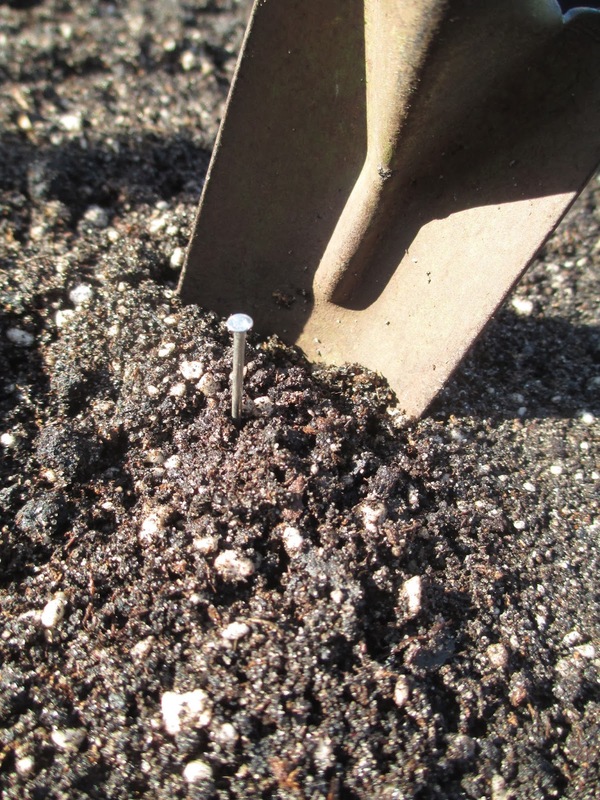 This mixture is used for all transplants and directly seeded plants. The Amaryllis is readying for blooms. A friend stopped by and brought them a few things. One was this unusual plant that was a mystery to me. Faye pulled off a leaf and gave me a whiff. but it didn't give me a clue as to what is was. Faye told me that the Christmas cactus comes in several colors. or outdoors even in cooler climates. and joining the myriad of bird species who call this peaceful place home. and his two "garden fairies" as he calls Faye and me. The work is never ending. My hope is that he can see that what he does matters. We couldn't have asked for a better day to get to work. Things are poppin' up all over the place! The seedling trays are soaking up the sunshine. so that they have room to grow. I'm looking forward to bringing some of this thyme home. We use it on everything from chicken to potatoes. The dill is filling out nicely. Lynn mentioned that it does better when it is periodically pruned. but Lynn is trying to get a head start on this crop. They sold out of the last of their pickled okra a week ago. as we haven't had a true freeze this season. Have you been to Peaville lately? as the vines reach for the sky. The lettuce, peas and broccoli share space on this end of the garden. but I have to admit, I'm satisfied with any mix I get. along with New Zealand spinach, kohlrabi, herbs and rows and rows of broccoli. This is where Faye picks the lettuce I bring home at the end of my workday. Are these scallions a sight? with another due to be planted in the next few weeks. This Hamlin orange is the smoothest citrus I've ever felt. 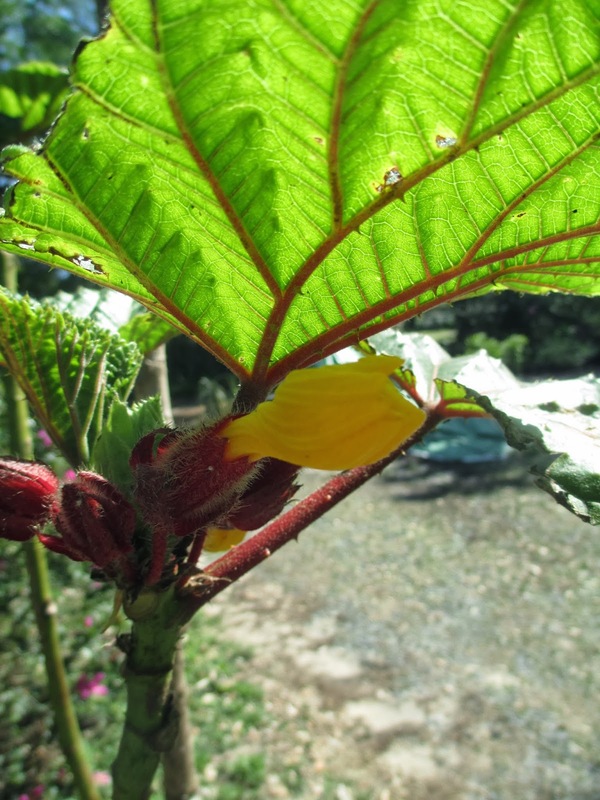 It's an early growing variety and is extremely sweet. and showed me where the new growth is coming in. These will be shared with friends. Pesticide-free orange juice is almost impossible to find these days. because of the lack of sun in the past few weeks. and the taste is not adversely affected by the wavering weather. Lynn showed me his harvesting technique for these sumptuous treats. More shoots will develop into edible tips. We eat these steamed with just a bit of olive oil, salt and garlic powder on them. Talk about tender, they practically melt in your mouth. These are loquat and are a late winter fruit. 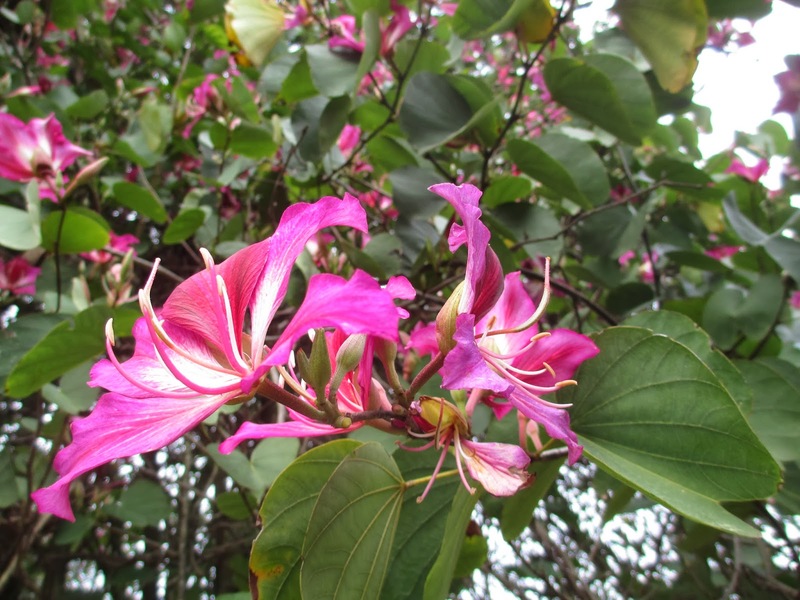 They are quite delicate and can be enjoyed from February through May. and made me a very happy camper. "The beets go on, yeah, the beets go on..."
Even Big K had a second helping with supper. Here's how we prepare them. one shovelful of soil at a time. savoring what God has provided. things were fast and furious. prodding me toward focus and bliss. and enjoying the past week's weather. A sea of lettuce is a tempting sight. These eggplant are healthy and doing very well, thank you. They will soon be caged. Get the skillet ready, it won't be long! and it was duly dismissed. 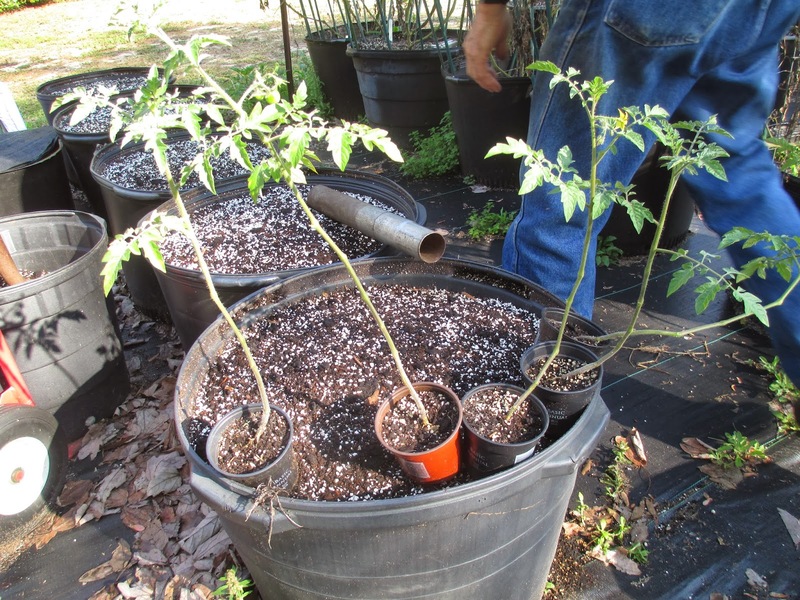 Sweet Millions (tomatoes) into bigger pots. They are just about hoppin' out of their containers. and have already started to bear fruit. Isn't that just amazing? It always floors me! We used the coring technique to put these babies in. We first showed you how to do this here. Lynn plants his tomatoes deep. has even outgrown the depth of the coring pipe. 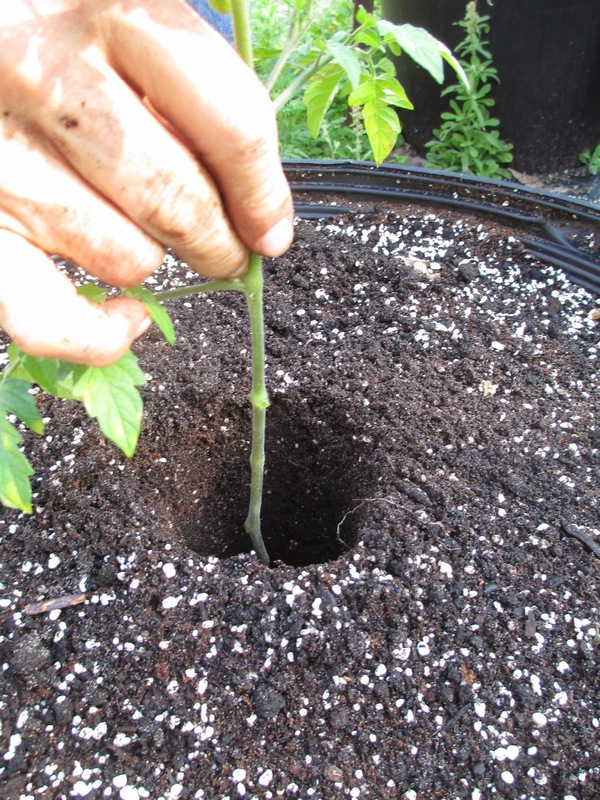 The pipe leaves a tidy hole in which to place the seedling. 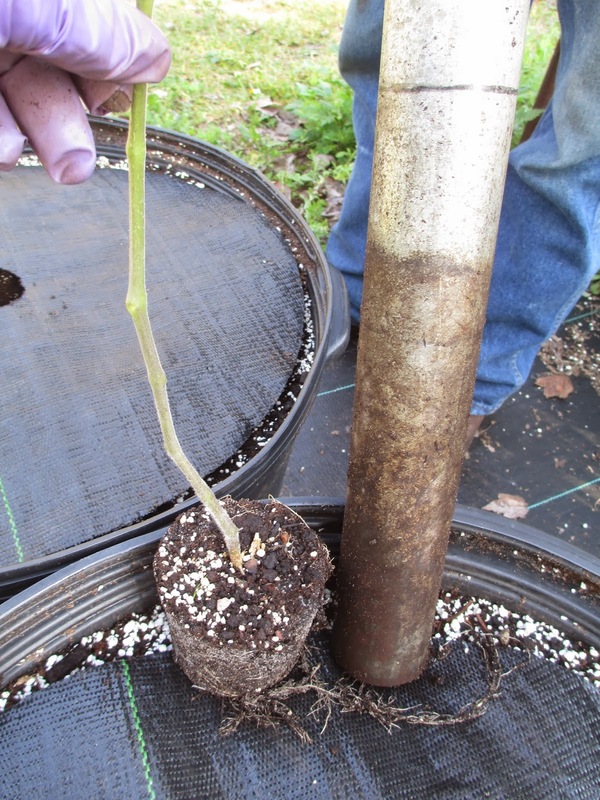 The entire stem up to the first leaves will be planted. which have been buried deeper. It won't affect the taste one bit! that can grow in our summer heat and humidity. And are they a welcome taste of freshness! 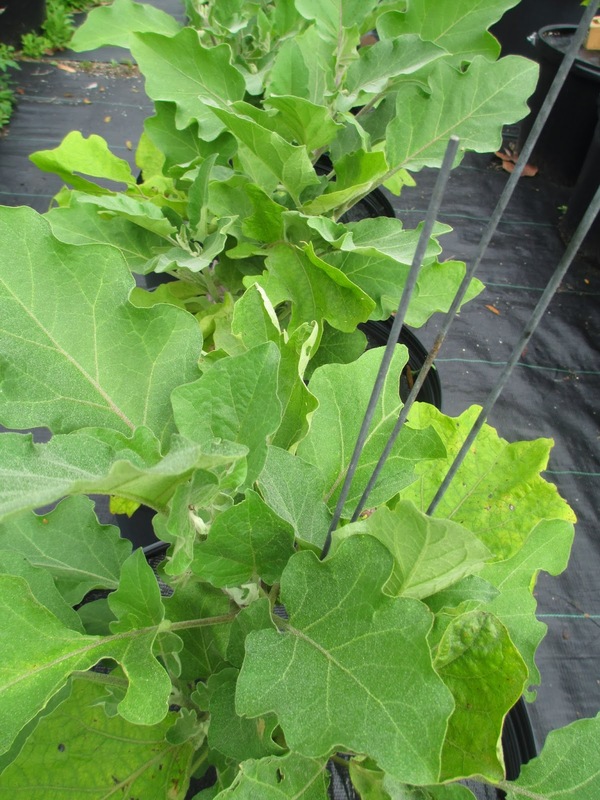 We also had these luscious eggplant to transplant. They're just screamin' for more room! We've showed this planting technique before. Lynn grows one eggplant per pot. 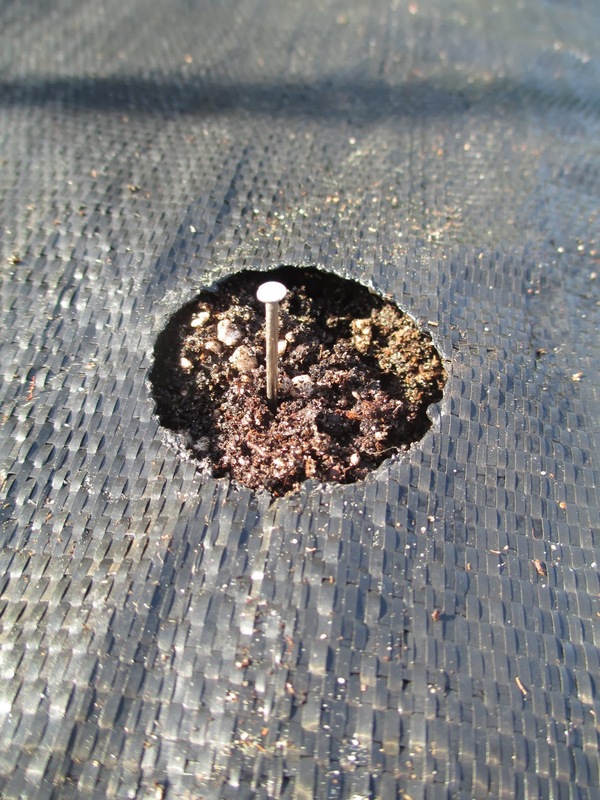 The nail is placed in the center of the liner hole. We dig around the nail. just below the top of the soil. then guided through that center hole. and she's ready to take off! it's much easier for me to identify crops on sight. That really ices my cupcake. but I'm gonna stock up on some parmesan cheese and homemade gravy! We planted a third row of scallions as well. Here's how it's done on The Hill. Here's what the first two rows look like now. They'll be ready for harvest in about another 2 weeks. 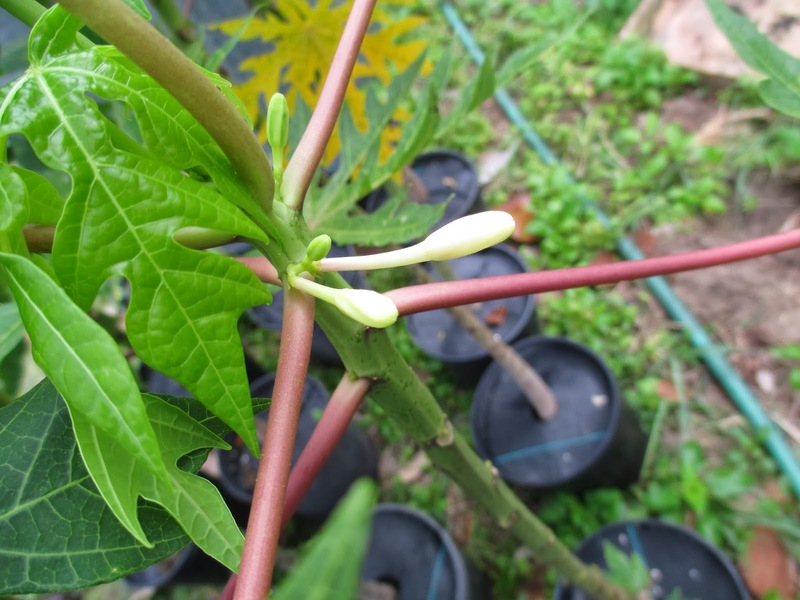 Lynn's trying a little experiment with the papaya plants. He's identified and separated the males. so we can see if it develops into a female plant. He comes up with these things all the time. It was a productive and fruitful day. this farmer-in-training has ever had. See ya next time on The Hill. Winter's winding down and the spring garden is rarin' to go. The beets, kale and Swiss chard have enjoyed the cooler temperatures. but will surely be worth the wait. Broccoli tips are tender and flavorful. The Brussels sprouts are such a hoot! This is Red Annapolis lettuce. 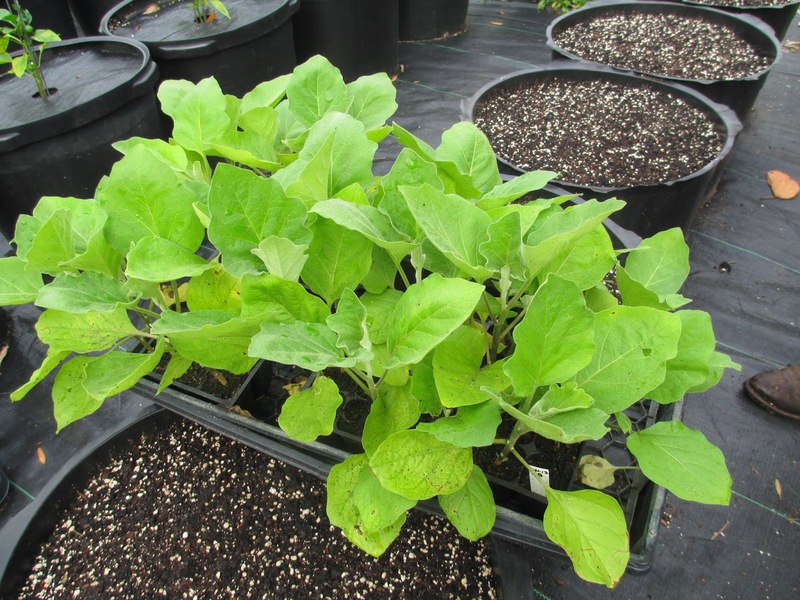 It's a type of Romaine that Lynn is growing with great success. 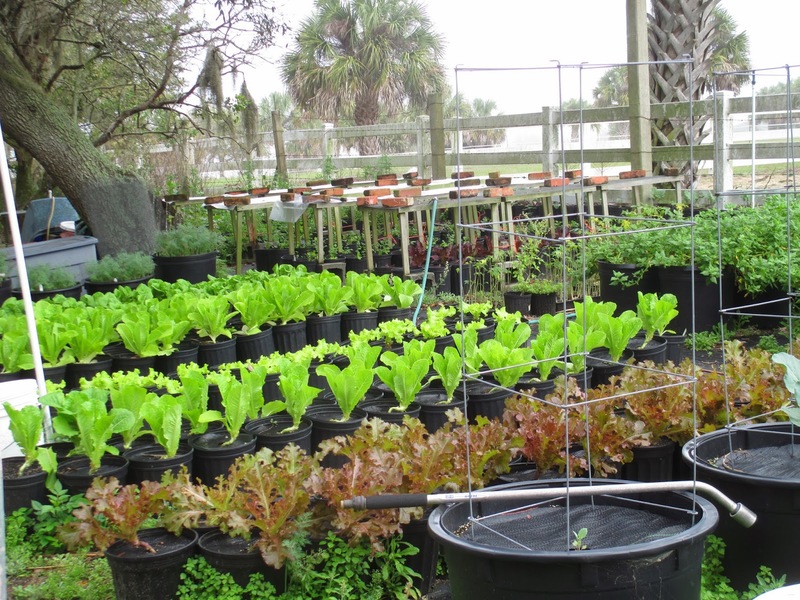 Altogether, 5 different varieties of lettuce are grown at the farm. 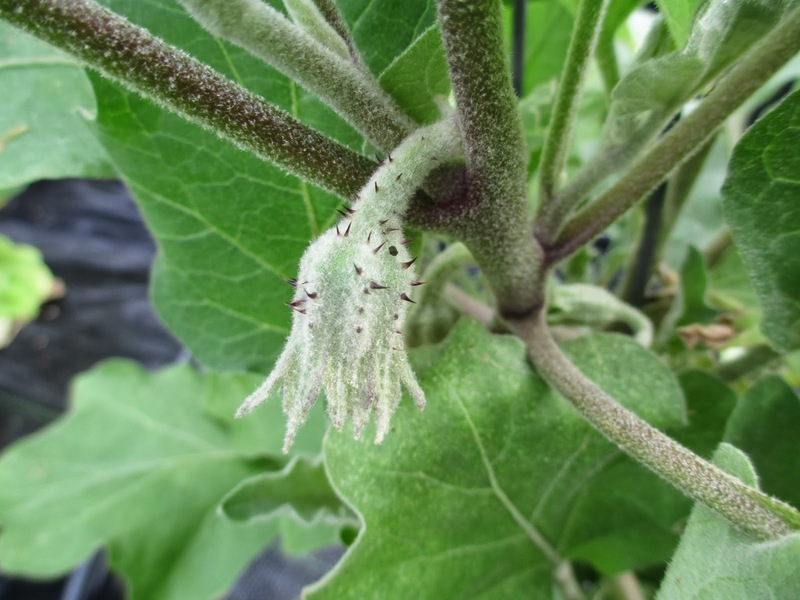 Okra is getting an early start. This summer staple will thrive as temperatures climb. Did you bring the dressing? The scallions we sowed last weekend are already coming up. that makes these onions shoot out of the pot. so that new crops can be started during the week. Back in Tomato Town, we saw goodies emerging on robust plants. The Celebrity tomatoes needed to be caged. No worries, the garden fairies are here to help! and it sure makes it easier to get the job done. being careful to tuck each limb over the wire bars. It usually takes the three of us to do the job sufficiently. and have ample room to grow now that they are fully supported. These maters are lip-smackin' good! It sure went by in a hurry. I feel as a gardener. become more of who I am meant to be. Thanking my lucky stars every single day. There is plenty to keep us busy in the garden. The last three leeks are awaiting harvest. Lynn and Faye sold out at the farmer's market. Fortunately, there are more ready to be transplanted. Beets as far as the eye can see. Look at how vibrant this Red Salad Bowl lettuce looks. and adds a pop of color to a salad bowl. I sampled this and enjoyed every bite. 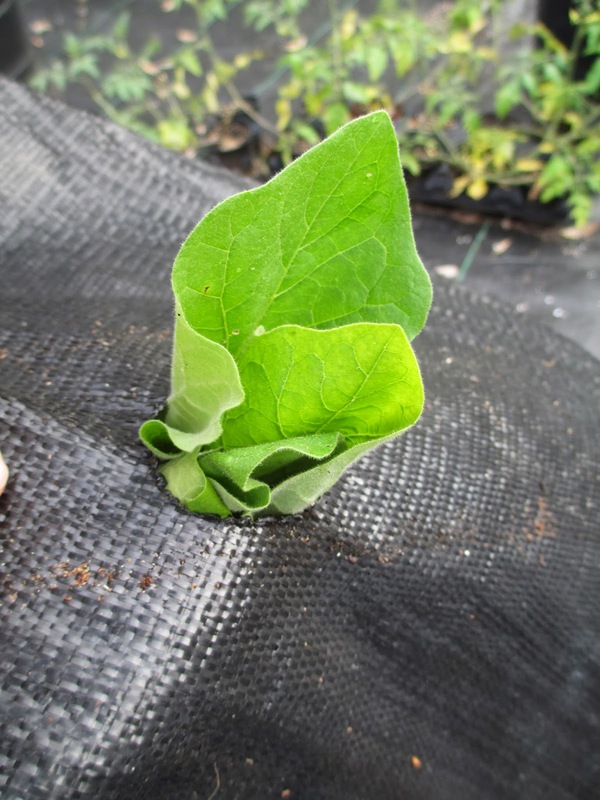 The New Zealand spinach is not bouncing back as expected. so it has given its all. and new seed will be started. Banana peppers are being enjoyed weekly. 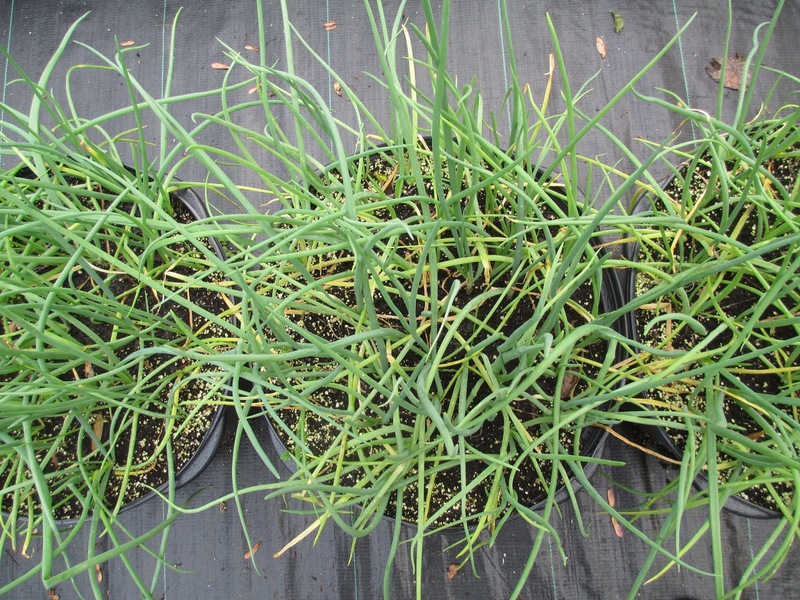 The scallions are bursting from the pots. Lynn is pondering how best to harvest them. The newer plantings are making swift progress. Celebrity tomatoes are goin' to town! Lots of fruit could be spied. Today we transplanted these Sweet Million tomatoes. they will morph into strong, healthy producers. 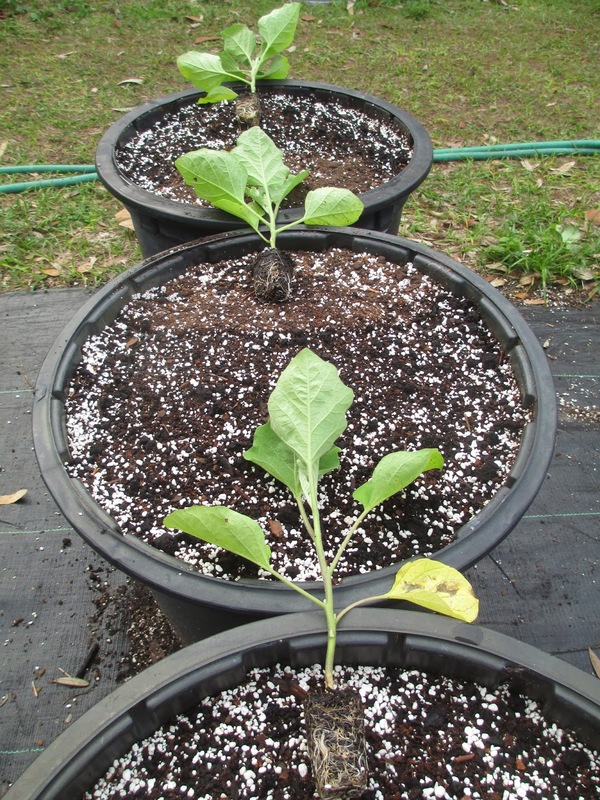 We used the coring method to transplant these babies. so it can concentrate on making fruit. 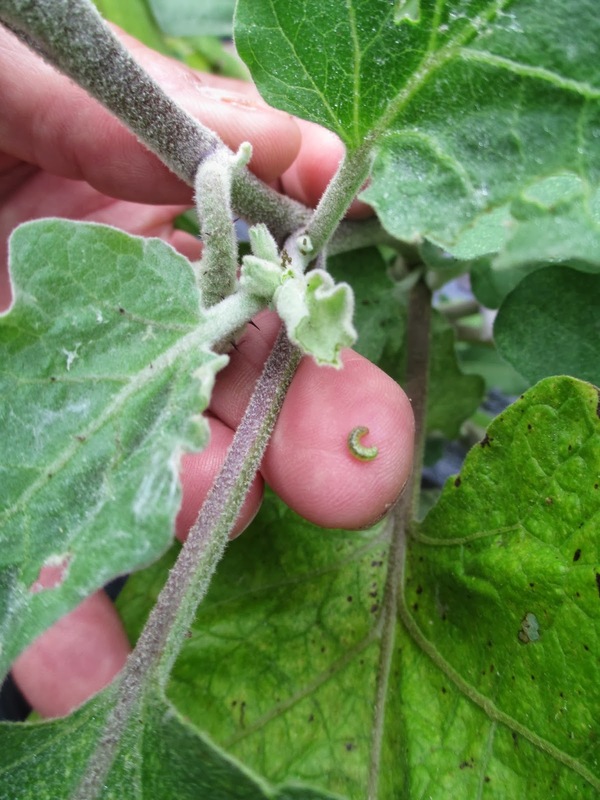 Eggplant is showing signs of delivering something good to eat soon. 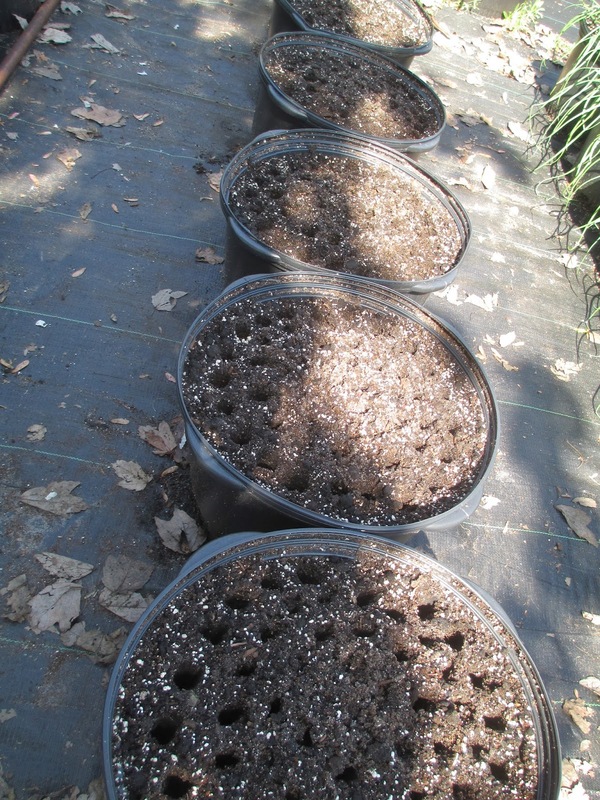 We also transplanted quite a few pepper plants. We are blessed to be able to grow all winter long. there are always tasks to keep our hands busy. It's an enjoyable and very rewarding endeavor. enjoying all that life brings. is kickin' it up a notch. The garden truly runneth over. Brussels sprouts, okra and (sugar snap) Peaville! Some of this lettuce made it home with me. Faye & Lynn will give you any combination you desire. The cliantro seems to be enjoying the shadier part of the garden. Lynn promised me one of these thyme plants to take home. 'cause they take a while to get established. The arugula is going to seed along the fenceline. I brought home some sweet beets. Today we had a daunting duty- fertilize the entire garden. and we developed a rhythm. We used this 20-20-20 fertilizer. adjusting the amount of fertilizer to the needs of the particular crop. Faye and I were in charge of dosing each plant. Here, Faye feeds one of their fig trees. so it sometimes takes an entire day to get the task done. we managed to complete the designated job. I was thrilled to see that the wisteria is in bloom. I didn't even know it could grow here. It's always been a favorite when I see it on other gardening blogs. Several of the amaryllis are ready to bloom. It's been a harsh winter for so many. with our Farm School posts.